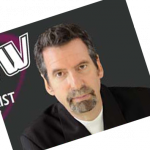 What separates Manlow from all other Motivational Speakers is that he speaks from personal experience. Everyday we are faced with challenges and hardships. Often, we have a hard time just trying to stay ahead. His motivational theme is IF YOU THINK YOU CAN, YOU CAN. Manlow genuinely believes anyone can overcome any hardship with the right mindset. He has the audience members actually participate in several uplifting demonstrations to stir their minds and give them positive influences they will use the rest of their lives. Manlow shows audience members how to utlize his positive thought processes when faced with each confrontation or challenge. By the end of his appearance, audience members will understand fully IF YOU THINK YOU CAN, YOU CAN to successfuly hurdle any obstacle.